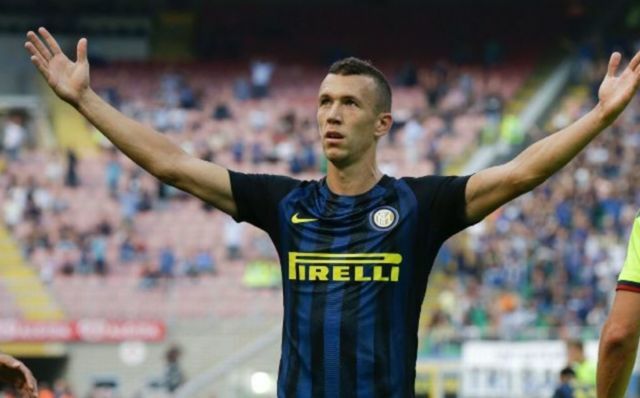 Inter Milan are set to cash in Croatian winger Ivan Perisic, with Manchester United set to re-launch a bid for the player, according to Sky Italia. United, as reported by Sky Italia, have already hinted that a new bid is set to be launched for the Croatian international, who scored 11 goals in 36 league appearances last season, however the bid is set to be less than the £48M that Inter Milan are wanting for the winger. The two clubs are set to come closer to agreeing a deal for the Croatian within the coming weeks and, as per Sky Italia, a deal then has the potential to be agreed for the winger. If United are to be successful in their pursuit of the former Wolfsburg winger, it’ll definitely be interesting to see what position Perisic will be used in by Jose Mourinho. United already have players, such as Anthony Martial and Henrik Mkhitaryan, who are more than capable of performing in Perisic’s position, so we’ll have to wait and see what role the midfielder takes up in Mourinho’s side.